Fernando González is an independent writer and editor. He writes about arts and culture for the digital arts magazine Artburst Miami; manages the music blog Jazz With An Accent, and is the International Editor of JAZZIZ magazine. Also, since 2011 he has been the Associate Editor for Print & Special Projects for The Latin Academy of Recording Arts & Sciences. (Latin GRAMMY®). 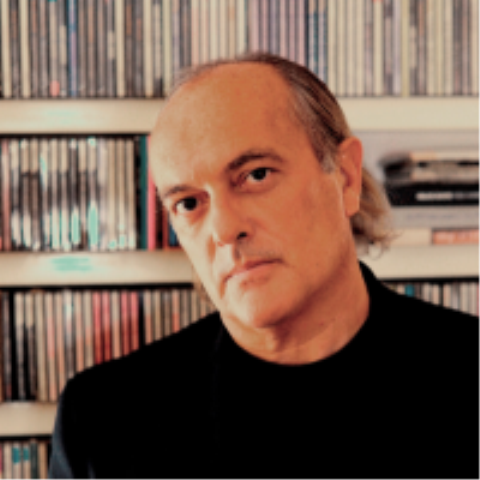 Complementing his work in arts journalism, González is also a visiting lecturer at Berklee College of Music, in Valencia, Spain, leading workshops on writing and music criticism. Previous professional affiliations include stints as a staff writer for The Miami Herald (1993-1999) and The Boston Globe (1988-1993), a cultural correspondent for The Washington Post (2000-2005); Managing Editor for JAZZIZ (2003-2008) and columnist for Downbeat magazine and JazzTimes. Other highlights include writing about arts, culture, and technology for the John S. and James L. Knight Foundation blog; contributing commentary for National Public Radio´s “Morning Edition,” and program notes for Carnegie Hall, Jazz@ Lincoln Center; New York City Center; and the Edinburgh International Festival, Scotland. González curated, hosted and produced Jazz With an Accent®, a 10 hour series on global jazz for 88.9 FM WDNA in Miami (2010); was the Curator of Jazz Programming for the Adrienne Arsht Performing Arts Center, Miami (2005-2007); translated and annotated Astor Piazzolla, A Memoir (Amadeus Press, 2001) and curated, annotated and produced the CD Universe of Rhythms: The GRAMMY Guide to Latin Music, a CD sampler of Latin American music styles for the National Academy of Recording Arts and Sciences (2000). Born in Buenos Aires, Argentina, González majored in math at the University of Buenos Aires before pursuing music full time. He moved to the United States to attend Berklee College of Music, majoring in Composition/Film Scoring. He also studied composition with George Russell and electronic music with Robert Ceely at the New England Conservatory. He is a voting member of the National Academy of Recording Arts and Sciences (GRAMMY®) and the Latin Academy of Recording Arts and Sciences and a member of PEN America.